After a difficult qualifying session for this race, the Plus Fitness Racing Kiwi started from the rear of the field and roared his way past 10 cars to claim 14th. Team Harvey Normal star Simona De Silvestro was involved in a number of close battles, making her way from 21st to finish 17th. RABBLE.Club rookie Garry Jacobson finished 18th, just behind De Silvestro. Jacobson also had a wild race, clashing with Macaulay Jones who tried to aggressively block Jacobson on the exit of Turn 13. Jones ended up collecting the wall heavily. 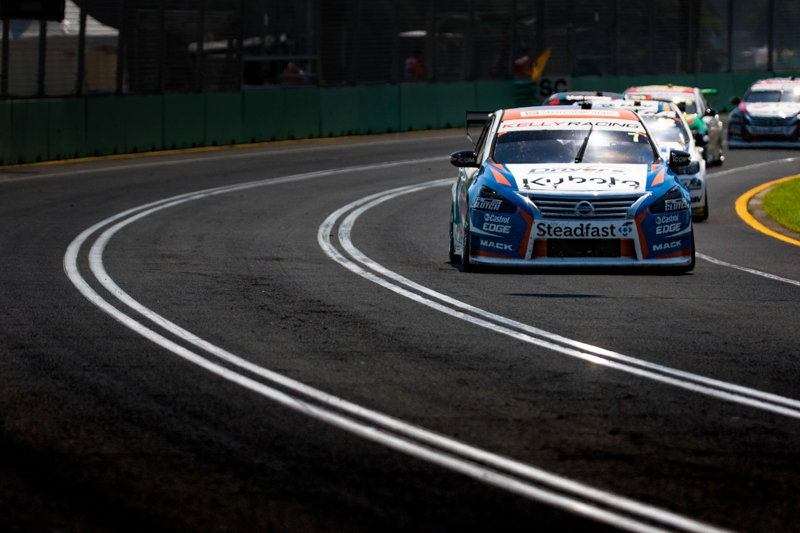 Castrol Racing’s Rick Kelly slipped down the order during the 13 lap race, crossing the line in 21st place.